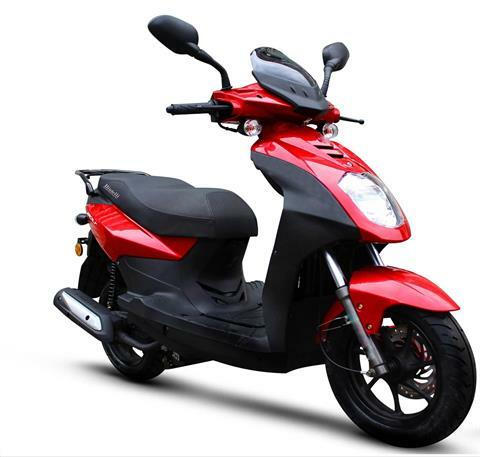 The Bolt 49cc is our newest model in the Bintelli family. It has the same power as our other 49cc models, but the seat height is slightly lower than our other 12″ tire model, the Scorch! Available in Black, Blue, Red, and Copper, it’s easy to see why this scooter is quickly becoming the talk of the town! 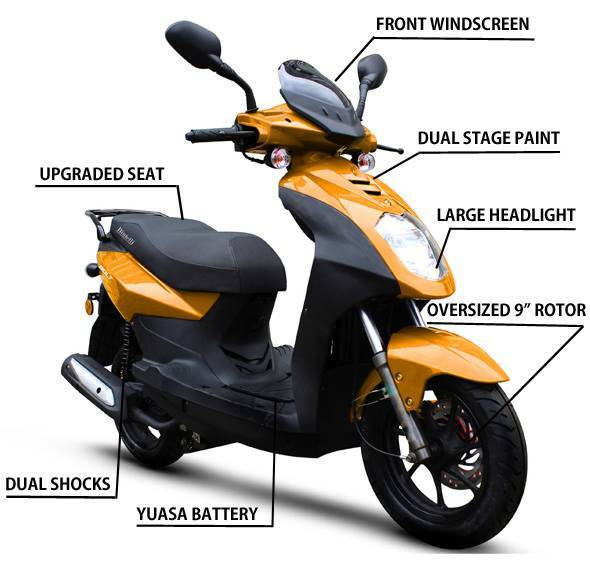 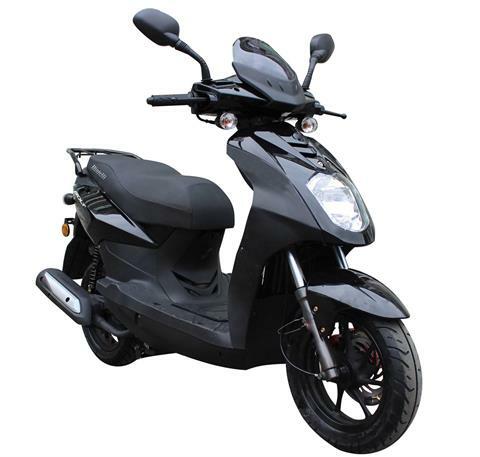 As with our other scooters, the Bolt 49cc comes fully loaded with many upgraded features such as Duro Tires, Yuasa or Motobatt Battery, NGK Spark Plug, Gates Belt, Halogen Headlight, Stainless Steel exterior hardware, and a 2 year limited warranty.